The thyroid gland is located immediately below the larynx on each side of and anterior to the trachea. It is one of the largest of the endocrine glands, normally weighing 15 to 20 grams in adults. 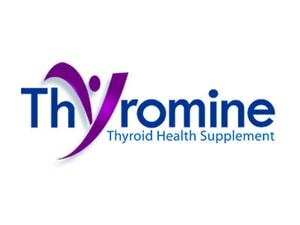 The thyroid secretes two major hormones, thyroxine and triiodothyronine, commonly called T4 and T3. Both of these hormones profoundly increase the metabolic rate of the body. 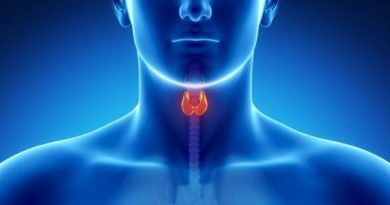 Thyroid secretion is controlled primarily by thyroid‐ stimulating hormone (TSH) secreted by the anterior pituitary gland. About 93 per cent of the metabolically active hormones secreted by the thyroid gland are thyroxine, and 7 per cent triiodothyronine. Thyroxine is eventually converted to triiodothyronine in the tissues. Triiodothyronine is about four times as potent as thyroxine, but it is present in the blood in much smaller quantities and persists for a much shorter time than does thyroxine. The primary function of the thyroid gland is the secretion of thyroid hormones. Thyroid gland contains the parafollicular C cells which are important for calcium metabolism. Promotes normal growth & development & regulates energy & heat production. Especially in the early life in the first one year because it’s deficiency will lead to mental retardation, so early detection of hypothyroidism in infancy & during birth is very crucial… when they treated we can save them from mental retardation & developmental retard at long term… so now a day’s different parts screen every day for the thyroid stimulating hormone (TSH) to find & diagnose paranodular tissue (PNT) with cretinism & congenital hypothyroidism. To prevent the delay in growth &mental & physical retardation so pnt with hypothyroid will have mental & physical retardation. So it is important in fetal brain and skeletal maturation. So Pnts with hyperthyroid may lose weight because there is increase in metabolic rate & because of diarrhea. Increase in serum glucose, decrease in serum cholesterol. The basic physiological function of thyroid gland is to secrete predominantly thyroxin (T4) & only a small amount of triiodothyronine (T3). Production of thyroid hormones is regulated in normal gland by thyroid stimulating hormone (TSH) from the anterior pituitary gland, so it’s under the influence of TSH & the TSH is under the influence of TRH from the hypothalamus, SO we have a feedback mechanism to thyroid gland by TSH. Approximately 75%-80% of T3 in blood is produced from deiodination of T4 to T3 & thyroid gland secretes only 20%- 25% of T3 so Most of T3 is mainly coming from T4. T4 is converted to T3 peripherally. Because the active form (T3) is about 10 times more than T4 in the peripheral tissues & the blood>>> so the active form & the more active component is the T3.